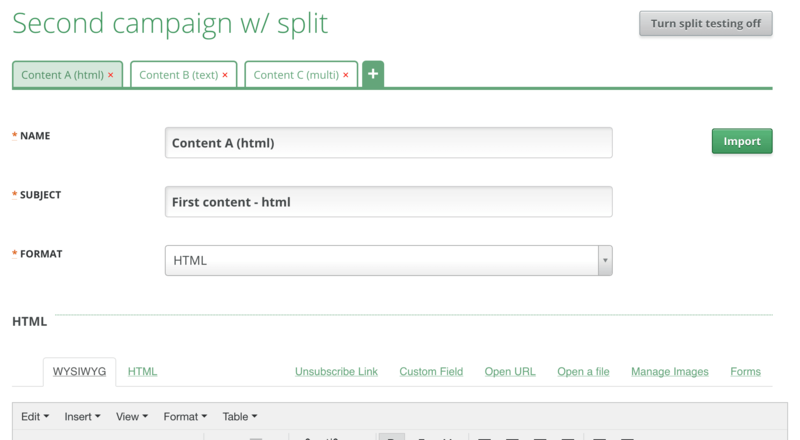 GreenArrow Studio supports split-testing email campaigns. When a campaign is split-tested, each content in the campaign will be sent to an even share of the total recipients. 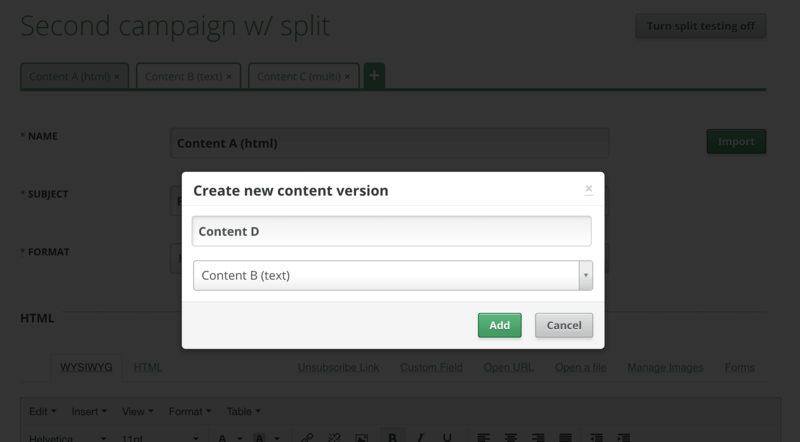 To split-test a campaign, click the “Turn split testing on” button in the top-right of the content editor. This will reveal a tab bar, of which each entry represents one content in the split-test. To duplicate one of the other contents in this campaign, use the dropdown to select the name of the specific content. Finally, clicking “Add” will create the new content. If no content is selected in the dropdown, the new content will be blank. Contents that use EDM Designer cannot be duplicated. By default, GreenArrow Studio’s TinyMCE enables the allow_conditional_comments option of the TinyMCE editor. Some users may wish to disable this feature.